1236 Industrial Avenue, Gastonia, NC 28054 (#3455531) :: Caulder Realty and Land Co.
100% occupied property (9% CAP) is a freestanding industrial building with 4 strong tenants. Features include 40 x 25 column spacing, 13 clear high, wet sprinkler, three phase power, full brick construction, 6 loading dock doors, 1 dock-high ramp, and 86 parking spaces. Recent up-fit to much of the interior space including 2 new air conditioning units. 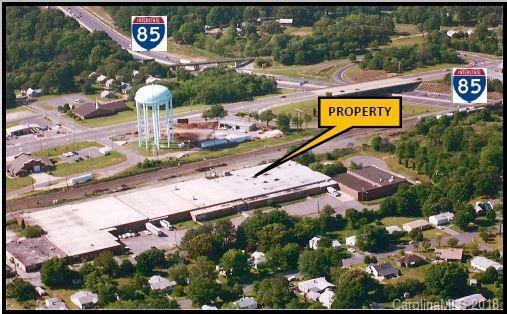 Property is located adjacent to the Amtrak stop, very close to I-85 (exit 19), NC-7 Hwy. 74 & Hwy. 321.